As the United States job market continues to sputter along, skilled trades are rapidly coming back into vogue as top career options for ambitious young people as well as for more established workers looking to change careers and get into something more stable. If you are looking for bountiful career opportunities, job security, and a solid income, you consider a career as an electrician. Unlike many of today's white collar careers, electrical work cannot be outsourced to a third-world country on the cheap or replaced by a new piece of software coming out of Silicon Valley. 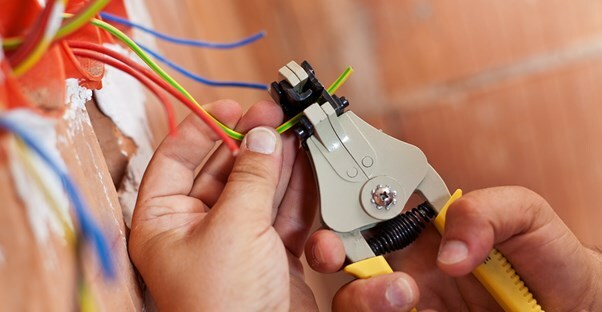 The first step to becoming an electrician is to get trained and certified. Not all vocational schools for electricians are created equal. If you want your career to take off as quickly as possible, it's important that you choose the best school. Here are the current top three vocational schools for electricians. The main campus is located in Minden, Louisiana, about 30 miles east of Shreveport, but NLTC has numerous auxiliary campuses in northern Louisiana, including one in Shreveport. NLTC offers a technical diploma (TD) as an electrician with a specialty in commercial wiring, but this diploma qualifies you for employment in residential, commercial, as well as industrial electrician professions. The courses offered are broad and diverse, and they will give you a very well-rounded education in electrical work. This will not only look impressive to prospective employers, but it will ensure you will be ready for any situation you encounter on the job. NLTC offers the most respected diploma in electrical work, and with its numerous financial aid programs, it is very affordable as well. Located in Chesapeake, Virginia, Everest College offers a training program for electrical work, which combines classroom work with on-the-job training through internships with partnering companies in the area. With a diploma from Everest College, you will be qualified for entry-level positions in either residential or commercial electrical work. The school also offers job placement assistance to qualified graduates. Though Penn Foster is located in Scranton, Pennsylvania, it offers an online learning option to accommodate its students' busy schedules. Penn Foster offers a TD and trains its students for residential, commercial, and industrial work. Financial aid is available for those who qualify, and the tuition at Penn Foster covers classroom instruction as well as textbooks, instructional kits, and tools. There has never been a better time than now to become an electrician. This is the kind of work that won't go away, even in this uncertain economy. Be warned, however: Many others just like you are realizing the opportunities that await a trained electrician, so there is competition. That is why it is vital to receive your education and training from a top school. Go with one of the best, such as the ones listed above, and you can be sure to have a leg up on your competition when starting your new career as an electrician.